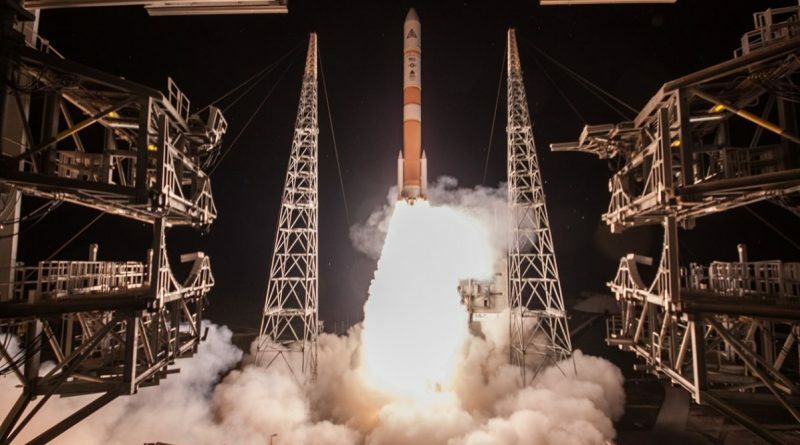 A Delta IV rocket stands ready for a twilight liftoff from Cape Canaveral on Saturday with a powerful military communications satellite set to join the Wideband Global Satcom Constellation operated by the U.S. Air Force. 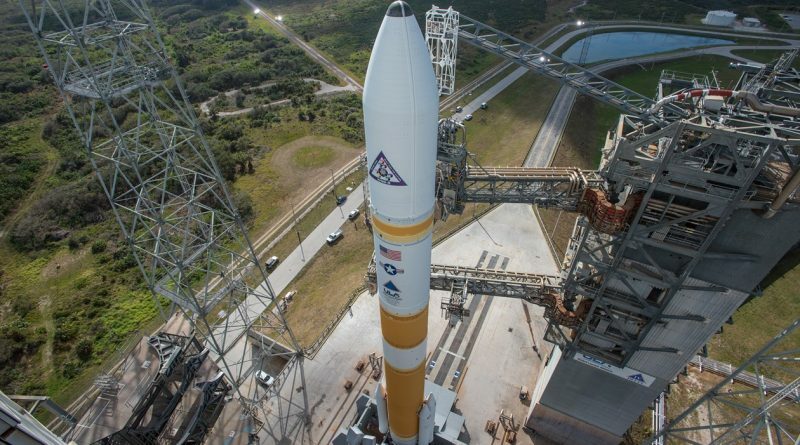 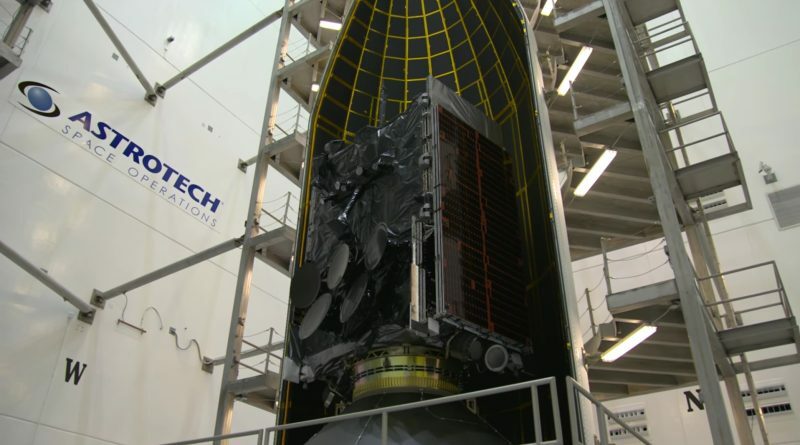 The ninth Wideband Global Satcom Satellite is encapsulated in its protective payload fairing and placed atop a Delta IV launch vehicle in preparation for a March 2017 liftoff to join the U.S. military’s worldwide high-capacity communications system keeping deployed troops connected. 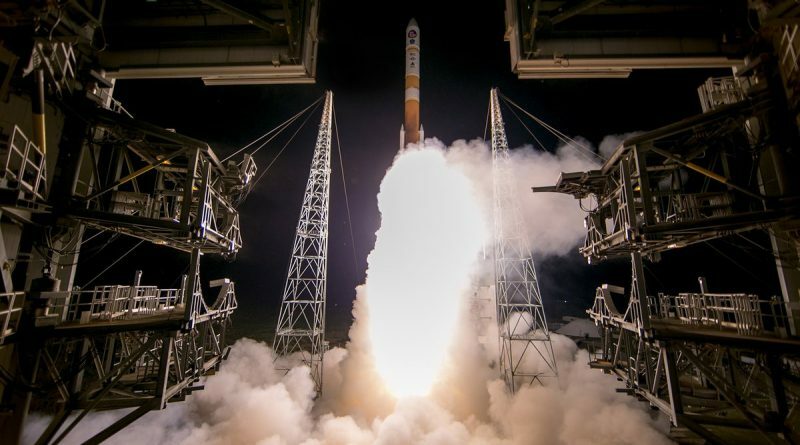 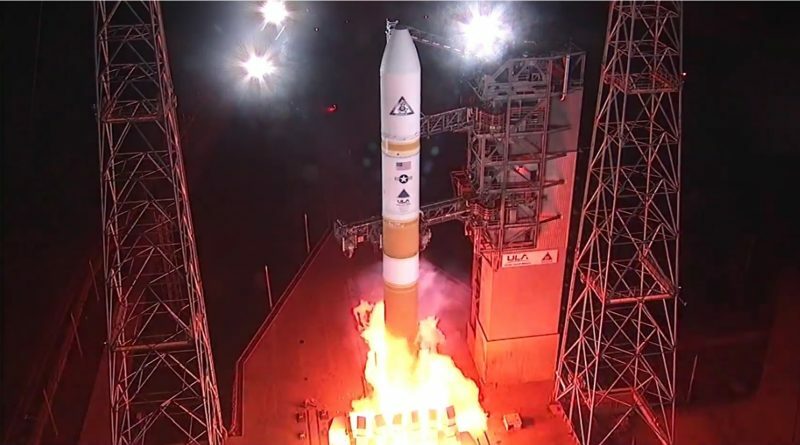 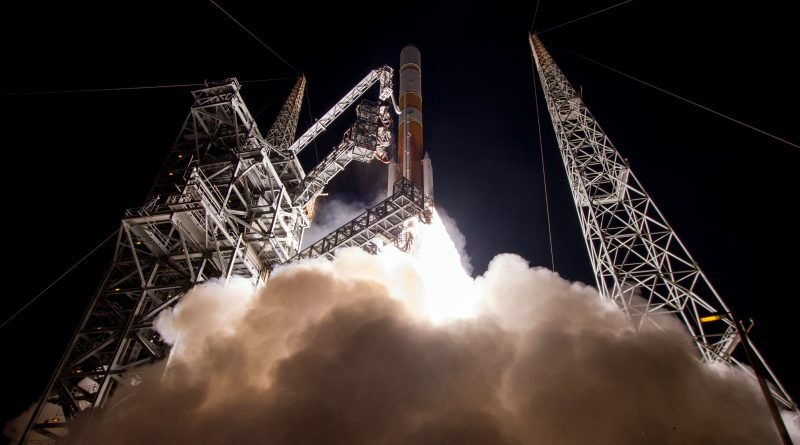 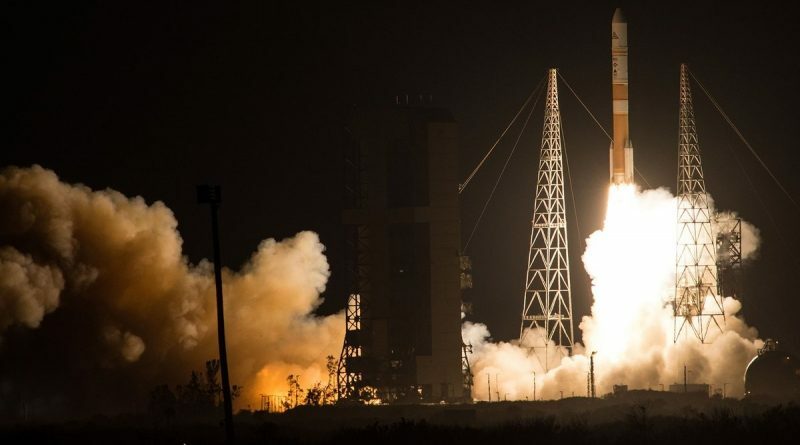 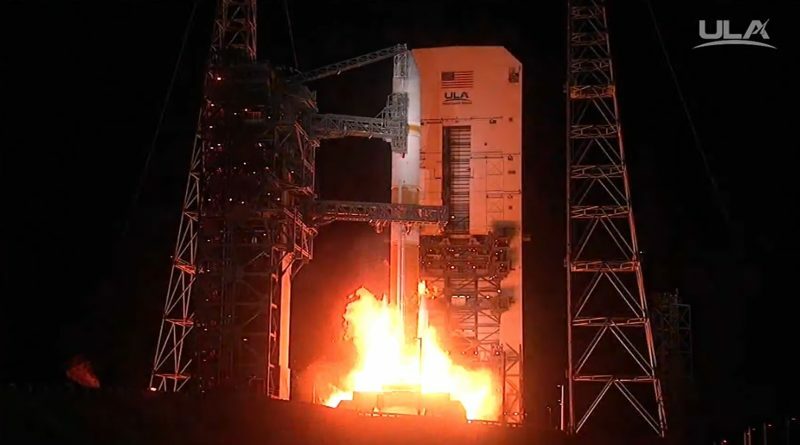 A United Launch Alliance Delta IV Rocket made an impressive night launch from Cape Canaveral on Wednesday, lighting up the dark skies over Florida’s Space Coast as it thundered uphill to lift the most powerful U.S. military communications satellite to orbit. 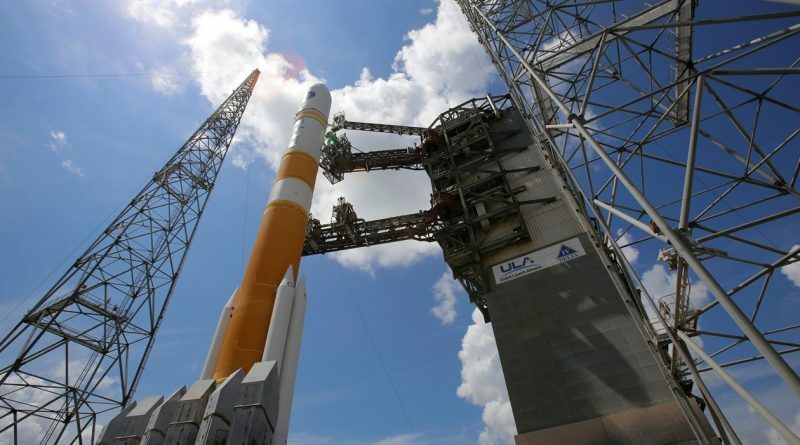 A United Launch Alliance Delta IV rocket stands ready for launch from Cape Canaveral’s Space Launch Complex 37 on Wednesday, carrying into orbit the eighth and most powerful satellite in the Wideband Global Satcom System (WGS).